Leading Islamic finance scholars are preparing the first global certification for Shariah experts, seeking to bolster the industry’s reputation and make it easier for banks to find qualified advisers. The International Shariah Research Academy for Islamic Finance in Kuala Lumpur will pick a board of regulators by year- end to issue permits for scholars qualified to sit on Shariah boards, said Aznan Hasan, the president of the oversight committee. The scholars decide whether financial products meet the religion’s precepts, including a ban on interest payments. Attempts to set up an organization with a code of ethics to certify Islamic scholars have been frustrated by differing interpretations of Shariah law across the Muslim world, Madzlan Mohamad Hussain, a partner at Zaid Ibrahim & Co., Malaysia’s largest law firm, said in an interview on Aug. 30. 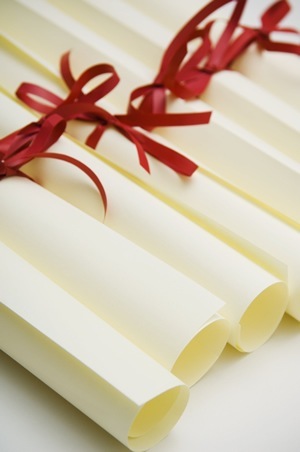 Scholars are now required to have recognized university degrees before they can act as advisers to banks and companies. The council of scholars at the academy includes Sheikh Nizam Yaquby of Bahrain, Mohammad Daud Bakar of Malaysia and Abdul Sattar Abu Ghuddah of Syria, who were all ranked among the top-10 experts in a 2008 report by Chicago-based Failaka Advisors LLC, an advisory company that monitors and publishes data on Islamic funds. Yaquby serves on the Islamic boards of 52 institutions including New York-based Citigroup Inc. and London-based HSBC Holdings Plc. Bakar advises firms such as Paris-based BNP Paribas SA, according to the data. A shortage of scholars versed in Shariah law means they tend to sit on a number of advisory boards simultaneously, which increases the risk of conflicts of interest, according to the Bahrain-based Accounting & Auditing Organization for Islamic Financial Institutions, also known as AAOIFI. Shariah-compliant bonds returned 10 percent this year, according to the HSBC/NASDAQ Dubai US Dollar Sukuk Index, while debt in developing markets gained 12.5 percent, JPMorgan Chase & Co.’s EMBI Global Diversified Index shows. The Islamic notes rose 1.3 percent in August after a 2.6 percent increase a month earlier. Global sales of sukuk dropped 13 percent to $10.1 billion so far this year, compared with the same period in 2009, according to data compiled by Bloomberg. The yield on Malaysia’s 3.928 percent government Islamic note was little changed at 2.72 percent today and dropped 21 basis points from the end of July, according to prices from Royal Bank of Scotland Group Plc. It reached a record-low of 2.63 percent on Aug. 24. The Islamic finance industry, with $1 trillion in assets, is facing a challenge to develop global standards to attract funds from the world’s 1.6 billion Muslims. AAOIFI, whose standards have been adopted in countries including the United Arab Emirates and Qatar, is proposing rules for scholars to reduce the risk of conflicts of interest, Mohamad Nedal Alchaar, the secretary-general of the organization, said in an interview on Aug. 5 in Kuala Lumpur. The guidelines by AAOIFI may address whether Shariah scholars can own shares in the institutions they serve and how many advisory boards they can join, he said. A centralized regulator for scholars will help increase investment because banks would save time in choosing experts to ensure products meet religious principles, said the academy’s Hasan, who also serves on the Shariah board of Malaysia’s central bank. The institution doesn’t plan to restrict scholars on the number of advisory panels they can join, he said. –With assistance from Haris Anwar and Dana El Baltaji in Dubai. Editor: Simon Harvey, Shanthy Nambiar. To contact the editor responsible for this story: Sandy Hendry at shendry@bloomberg.net. DUBAI, UAE, September 20, 2010 /PRNewswire/ — Ethica Institute of Islamic Finance and Zawya today announced a partnership to jointly deliver online Islamic banking courses and certification. Ethica Institute’s certification is chosen by more professionals and students than any other Islamic finance certificate in the world, and Zawya is widely regarded as the leading provider of business and investment intelligence in the Middle East. A partnership between Ethica and Zawya would bring unprecedented access to standardized Islamic finance training and certification to both companies’ extensive community of high-end users. In the coming months the two companies intend to jointly launch a specialized Islamic finance certification focusing on Sukuk. Ethica Institute of Islamic Finance (http://www.EthicaInstitute.com) trains and certifies professionals and students in Islamic finance online and at its training facilities in Dubai. Headquartered in Dubai with sales and support offices throughout the Middle East, Zawya (http://www.Zawya.com) is the leading provider of business and investment information serving high-end professionals focusing on the region. Figure out what kind of Islamic banking job suits you. Learn how to connect with the right people. Gain the right kind of experience before applying for Islamic finance jobs. NEW YORK, NY June 15, 2010 — The Edcomm Group Banker’s Academy and Ethica Institute of Islamic Finance today announced a partnership to work together to enhance the training programs they offer to the Islamic Finance community to provide the best possible solution to their clients worldwide. Ethica Institute of Islamic Finance is the most recognized Islamic Finance certifier in the world, delivering eLearning Islamic finance training and standardized certification to professionals and students around the globe. Ethica’s Certified Islamic Finance Executive™ (CIFE) certification conforms to 2010 Accounting and Auditing Organization for Islamic Financial Institutions (AAOIFI) Shariah Standards and is accredited by leading Shariah scholars to help individuals worldwide learn the knowledge and skills they need to succeed in today’s growing Islamic Banking industry. Ethica Institute of Islamic Finance (www.ethicainstitute.com) trains and certifies professionals and students in Islamic finance online and at its training facilities in Dubai, United Arab Emirates (UAE). The Edcomm Group Banker’s Academy is a 23-year-old multimedia education and communication consulting firm (www.bankersacademy.com) headquartered in New York City with locations and representation throughout the world. What makes Islamic finance different from conventional finance? And what makes it better? We look at 3 real-world examples and find out. We also introduce you to the 4 principles that guide Islamic finance transactions. At EthicaInstitute.com we believe that many of the world’s problems could be solved by providing alternatives to interest-based banking. If governments, companies, and individuals could focus on something other than repaying mounting debts, the world would be a much better place. We also believe that the industry urgently needs to comprehensively train the many people now entering Islamic finance. Crash courses are not enough. What is needed is ongoing, standards-based training for everyone. From single individuals to entire banks. Anytime, anywhere. 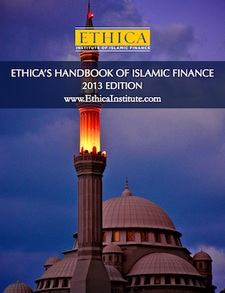 In an effort to meet this growing demand for Islamic finance training, we created EthicaInstitute.com, the world’s first dedicated Islamic finance e-learning portal. The site offers training modules, certification, discussion forums, member profiles, a Q&A database, podcasts, and live webinars.